Bloody Mary cocktails are my specialty. However, if you spend as much time as I do researching the topic, you’re bound to stumble upon more than one Bloody Mary story. The bloody Mary story has it that summoning the mythical figure is as simple as standing in front of a mirror in a room lit only by candlelight. This should be done alone. (Would you really want anyone to see you doing this??) Staring into the mirror, recite the following: Bloody Mary, Bloody Mary, Bloody Mary. Think it over before trying the bloody Mary story out. While I have not done it myself, folklore tells us that a the ghost of bloody Mary herself will appear in the mirror.This is not the bloody Mary story you may be hoping for after staring at that Lady Gaga picture. No, what appears in that mirror is nothing short of hideous. But that’s not all. According to the bloody Mary story, she will then come out of the mirror. It gets better. 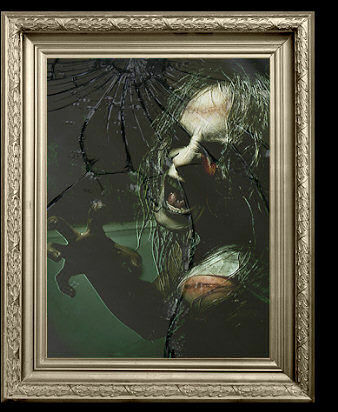 Once you have freed her from the mirror, Bloody Mary will tear your eyes out for you. Here’s a tip: Take a nice, looong look at the picture of Lady gaga BEFORE trying out this story. WIth so many stories, pictures and recipes floating around the internet. It’s easy to get confused. Take a deep breath. Let me make a suggestion. Grab a cocktail shaker, some ice, a little vodka, check out a bloody Mary recipe, and rent the movie!